Christmas mini sessions are now available to book. 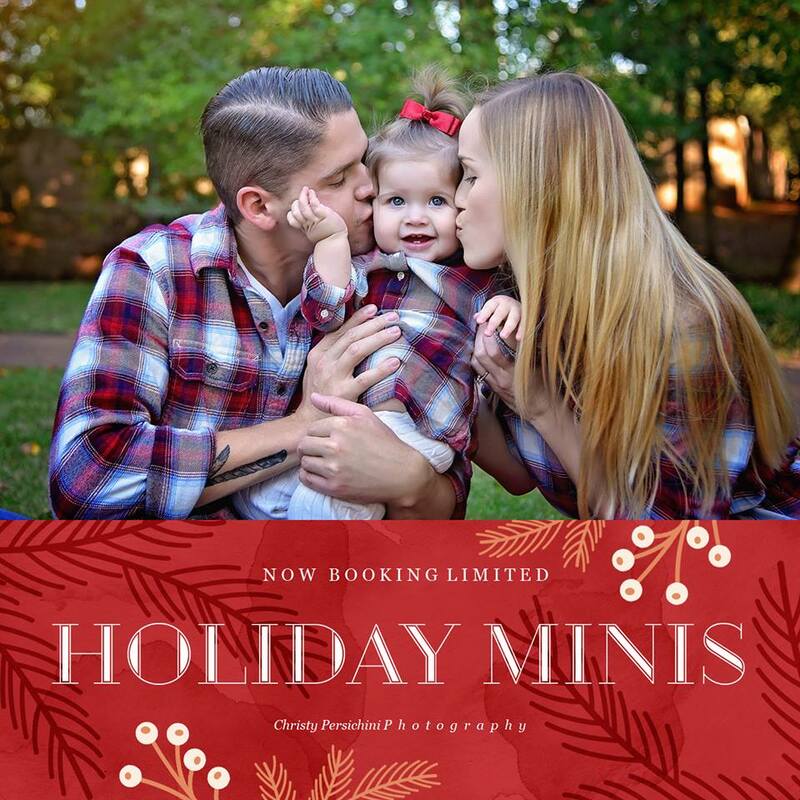 I am doing them earlier this year to ensure everyone has their pictures back with ample time to use them for Christmas cards, presents, etc… Mini sessions are $100 and include every picture from your session, 4 edited images, and a printing release to print anywhere you choose. I will be bringing Christmas themed props. To book your session follow the link below and select the date on the calendar in order to see available times for that day. The best sessions times are the first of the morning and the last in the evening. Below are the dates and their corresponding locations. Please keep this for your records as this information will not be provided anywhere else. November 5th pm – Savannah Nature Trail – I will be bringing my red fainting couch. Mini sessions are first come first serve and typically book up pretty quickly. Be sure you get a confirmation email so you know the booking process was complete. Please let me know if you have any questions. I have an email notification list so you can be notified when mini sessions are available. Please private message me with your email address if you would like to be added to the list.